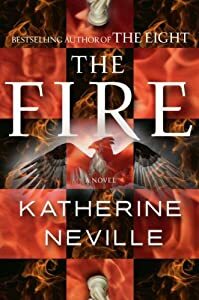 I just finished reading Katherine Neville’s “The Fire”, the sequel to “The Eight”. I am disappointed. I not only liked The Eight – I loved it. It had a clear story with characters that had both personality and depth. I even liked Lily Rad’s dog! (I usually despise anything canine smaller than an English Bullterrier) When I had finished reading The Eight I felt I knew the characters, and I missed them once they had disappeared behind the back cover. 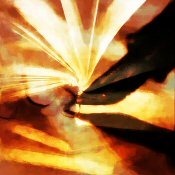 When I reached the last page of The Fire I felt relieved. The story starts off well enough with a murder and an unexpected party. All the usual puzzles and clues and such are there – but where is the personality and depth of the MC? Unfortunately it doesn’t help that the majority of the MCs from The Eight are there, some way or other. Cat Velis’ daughter just isn’t written strongly enough to take hold of either the story or me, the reader. I found myself longing for the parts where the characters from The Eight would speak, act and lead the story. I can extend a limited amount of understanding for Katherine Neville wanting to inform new readers, who has not read The Eight about the events there. However, I felt like she was using something like a quarter of the book to re-tell The Eight, albeit from a slightly different point of view (new but related characters speaking), but it did take away speed and intensity from the story. She would have gained a lot from simply adding footnotes with references to the first book. Just as in The Eight she moves between two different time-lines, only this time that ‘take’ is only confusing, because there is no direct connection between the ‘historical pieces’ and the ‘present pieces’. In The Eight the historical pieces were either carried by an MC’s telling the story or through discoveries made by the MCs in present time. In The Fire those ‘links’ are missing. It’s a pity, because without the confusion this creates, the book would be so much more enjoyable.